I have three of Garrison's books: The Amazing Civil War, Civil War Curiosities, and More Civil War Curiosities. I would recommend each and every book to anyone! The facts that Garrison writes about are both interesting and captivating and being a high school American History teacher, I plan on using the facts that I have found no where else to captivate my students and give them a perspective on the war that they may have never found otherwise. At the start of the Civil War, strategists for both the North and South understood the supreme importance of the seas. 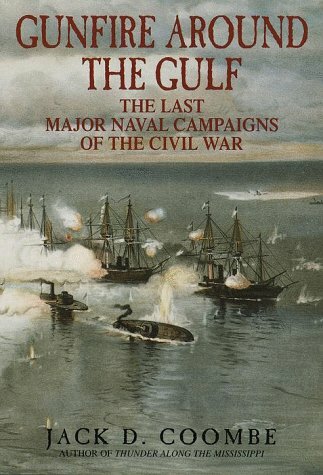 In Gunfire Around the Gulf, author Jack D. Coombe (Thunder Along the Mississippi) suggests that the War Between the States may in fact have been decided by the largely uncelebrated naval actions in the Gulf of Mexico.